A hose crimper is an important tool for anyone assembling their own hydraulic hoses. They firmly attach hose fittings to the hose by compressing the fitting, or ferrule, around the end of the hose. This is typically done through the compression of die segments to a predetermined diameter around your fitting, allowing you a secure fitting that can easily connect to the rest of your hose assembly. Depending on what you’re looking for, there are a wide range of crimpers and crimping tools you can use. There are portable manual crimpers that fit specific-diameter hoses and capacities. These types of crimpers can use a jack-style press, lever, electric power or sometimes compressed air. Other industrial crimpers feature high-end tech, millimeter-specific diameter settings and more. These can often be found in hose assembly shops. When you’re looking at a new hydraulic hose crimper to purchase, there are a number of things to consider before you decide on what to go with. Here are a few considerations. First, you need to have an idea of what types of hoses, fittings and applications you’ll be assembling hoses for. If you’re working with largely residential or construction-based applications, a hose crimper that is portable and manually operated might be the best option. If you have consistency with what hoses you’ll be working with, then a freehand crimper will likely be the most affordable and appropriate option. However, if you’re going to be working in heavy industries or in an actual hose assembly plant, you’ll likely need an industrial-quality hydraulic hose crimper that allows you to quickly and easily crimp a wide range of hoses, fittings and ferrules at different PSI and temperature ratings. 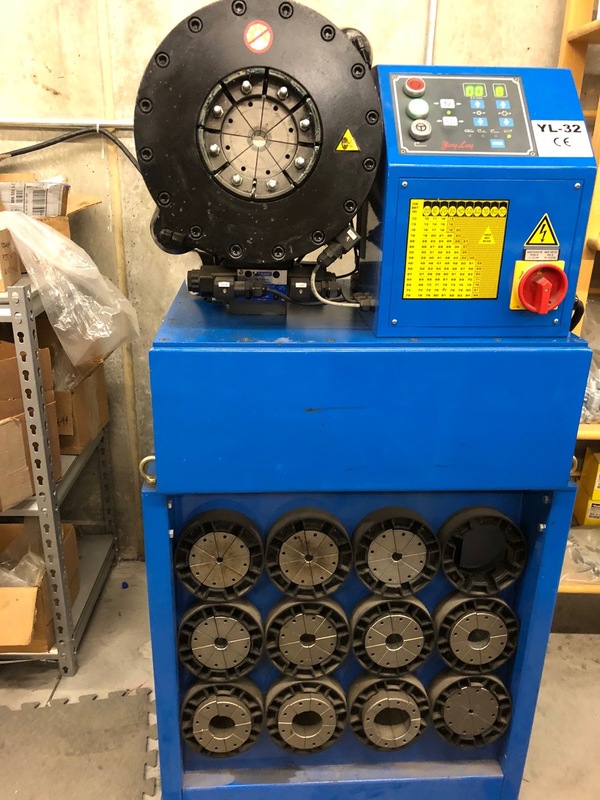 Depending on the hydraulic hose crimper manufacturer, you may find that certain manufacturers offer a free or complimentary crimper, or a crimper at a reduced price, with a hydraulic hose purchase or commitment to purchase a certain number of hoses and fittings in order to qualify. If you’re regularly working with a specific type of hose or fitting, this might be a great program to look into; however, it might also hinder you being able to assemble multiple types of hoses. Certain manufacturer-specific crimpers might only be applicable to those hoses and fittings. It’s often the case that you’ll come across a wide range of hoses and assemblies if you’re working with hydraulic hoses, so relegating yourself to work with a single manufacturer’s supplies might not be a great idea. It is our belief that the best overall option is to invest in an adjustable hydraulic hose crimper that allows you to crimp hose fittings to whatever outside diameter is required. 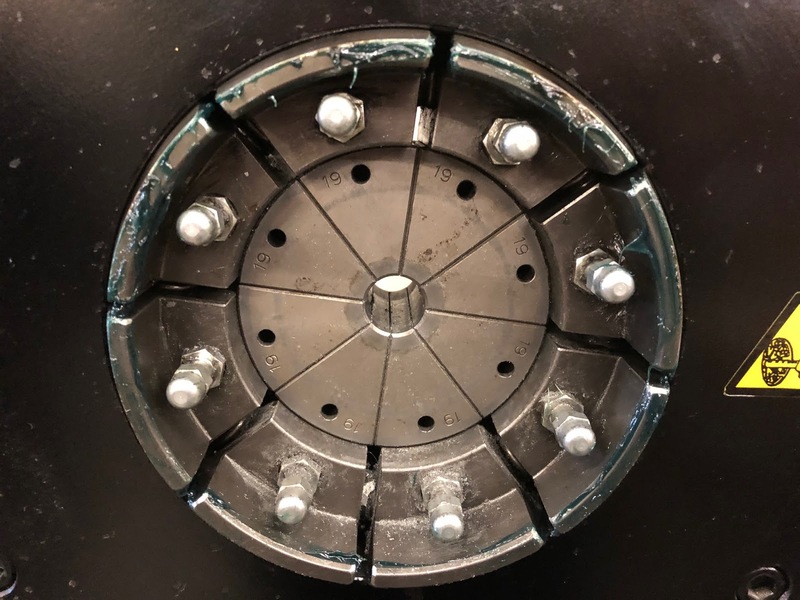 Whether you’re working with manual, electronic or hydraulic, this type of crimper will offer a few different sets of dies (attachments that increase or decrease your crimper’s end diameter), with each set having a crimping range. Buying an adjustable hose crimper is your best bet to make sure you can crimp whatever diameter is required. 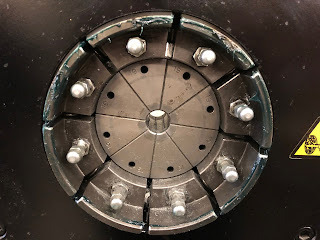 Depending on the brand or manufacturer of the crimper, your adjustable crimper will likely have different features, different diameter settings and more. Be sure to do your research ahead of time. More questions about hose crimpers? Get in touch with Hose and Fitting Supply today! The industrial hose industry is highly technical with different composition hoses being used for different jobs, environments, and more. It’s important to know the ins and outs of most popular industrial hose and tubing before you buy. You’ll need to have an understanding of your hose’s intended application, the various pressures and environment your hose will be subject to, and other specs pertaining to your hose’s application, like how long your hose needs to be and how long you’ll need it for. Below are some of the most commonly used industrial hoses and tubes on the market, their intended use, and features of each. Rubber hydraulic hoses are commonly used in hydraulic systems, mainly for oil, but also for water based systems. Their rubber composite composition and steel wire braid layers allow them to maintain internal pressure and transfer power from the generator to the nozzle. Rubber hydraulic hoses have a wide range of designs - sometimes with multiple layers - and different megapascal pressure ratings. Depending on your application, they are rated to different country standards, SAE being the American rating. multi-purpose air hose made from premium nitrile rubber, featuring nice flexibility and durability. This quality hose is abrasion, cracking and high oil resistance, and multipurpose so it can be used for compressed air, water and mild chemical applications. Short Description: The most commonly used hydraulic hose (just need to look at your pressure parameters to get the right one). A more rugged hose used in high pressure applications. 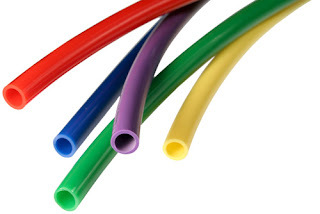 Thermoplastic hoses are a specialized hose that can come in an array of compositions. Commonly, you’ll find several layers of thermoplastic material giving this type of hose its strength and durability. Since they’re made out thermoplastic material, they’re not recommended as a means to transport liquids, gases, or materials that are high in temperature. Instead, they’re great for various lubricants and solvents because of its resilient construction. Short Description: Great for high pressure applications with a lightweight hose but not as rugged as others. Rubber air and water hoses are very common. They’re typically used around the house or on applications that don’t require medium or high pressure equipment. Great for air, water, and most fuel, the rubber composition makes it flexible and durable in most environments. Short Description: Good chemical resistance and temperature ranges at low pressure. Heavier duty that PVC, more flexible. PVC hose is a lot like your thermoplastic hose, however it’s composed out of PVC, or polyvinyl chloride, material. 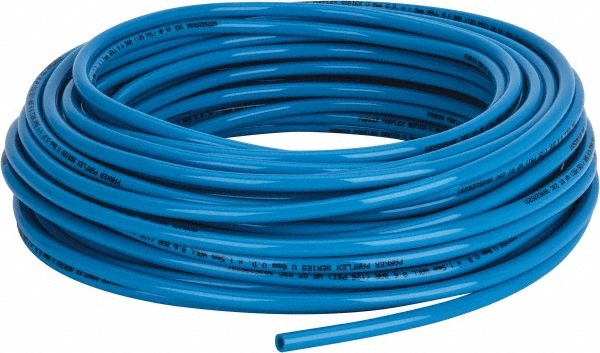 It’s essentially a plastic hose that is widely used in the construction industry. Because of its composition, PVC hose comes in many shapes and sizes - from tough clearbraid PVC hose to more malleable low pressure layflat PVC hose. Short Description: Basically the same as a rubber air hose but more limited when it comes to chemical resistance, durability, sometimes pressure, and temperature. Lighter-weight, typically non marking. 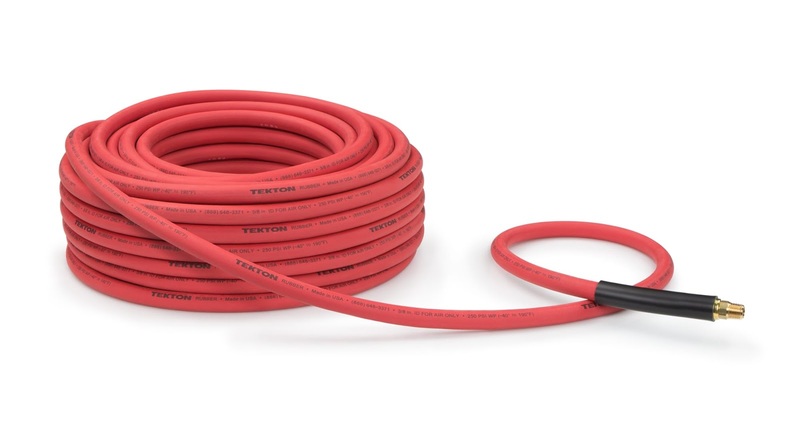 Smooth Bore Teflon hose is another all-purpose hose sought after because of its durability and flexibility. 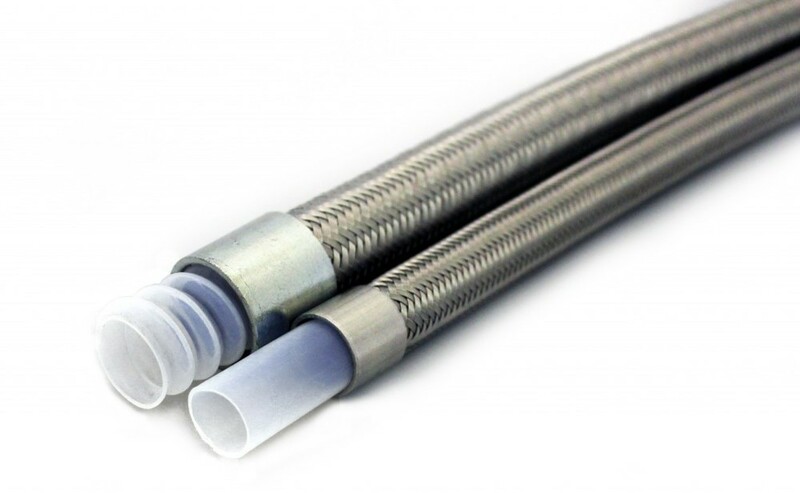 Also referred to as PTFE hose, this product is great at handling medium to high pressure systems and stable liquids or gases. You’ll often find smooth bore teflon hose with a protective stainless steel braid on its outside layer. Polyurethane tubing is a form of high density plastic tubing that can withstand high pressure and is abrasion and fatigue resistant overall. Polyurethane tubing also lacks any plasticiser additives which can cause issues in other hard plastic hosing over time so it is long-lasting. This material is often used in outdoor applications because of its UV resistance and transparent exterior. Shore A 98 tubing is made from the highest quality raw materials available. It is ether-based to provide excellent hydrolysis, oil and cold resistance. Short Description: Strong, flexible, and superior kink resistance compared to other tubing. It is 5 to 10 times more wear-resistant and lighter in weight than any rubber hose. Low Density Polyethylene tubing in another all around go-to for liquid transport in a wide range of industries and applications. Overall, it is very flexible and very tough with a great temperature resistance (up to about 176 F). 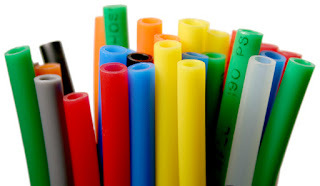 Compared to high-density polyethylene tubing, its molecular structure is less packed, giving it its lower density. Short Description: Strong flexibility with good temp resistance. Very lightweight. Welcome to the Hose and Fitting Supply Blog! The industrial hose industry typically doesn't have a lot of information on our highly specialized products. The aim of this blog and our other resource pages is to make sure that our customers have as much information as they need to find the right product for them. Whether you're looking for replacement hydraulic hoses, or shopping for a piece of PVC tubing for a residential project, HoseandFittingSupply.com is your source for products and information on the industrial hose market. If you have any questions, please get in touch with us here.